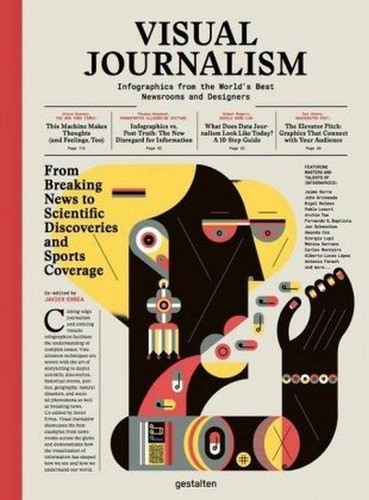 245 1 0 %a Visual journalism : %b infographics from the world’s best newsrooms and designers / %c by Robert Klanten, Anja Kouznetsova, Javier Errea ; Gestalten. 260 # %a Berlin : %b Gestalten, %c 2017. 300 %a 287 stron : %b ilustracje ; %c 34 cm.